SJ-004G is a small pocket size hand-held multi band jammer with PC adjustable frequencies which prevents you from being monitored by others and to help prevent disturbances or noise from cellular phone calls at short distances. The Mobile Phone Jammer blocks the operation of cellphones, Wi-Fi and Bluetooth devices by radiating noise interference. SJ-004G Portable Cell Phone Wi-Fi Signal Jammer is mobile cellular phone jammer and with SVIP unique disguised design, people won't notice SJ-004G and can't know SJ-004G is a Portable Cell Phone Wi-Fi Signal Jammer. This portable unit can jam AMPS,N-AMPS, GSM, CDMA, TDMA, UMTS, WIFI and Bluetooth. This universal device can work as multi band Cell Phone Jammer or as Wi-Fi Jammer or as Bluetooth Jammer or a combination thereof. in stores where clients use their cell phone very close to the counter and cause loss of business as genuine buyers can not reach the store counter. Our Cell Phone Wi-Fi Jammer with Frequency Setting SJ-004G will help you protect yourself from the threat of eavesdropping via cell phone (even when cell phone is switched off can listen to conversations at a distance of several meters) or via Wi-Fi or Bluetooth devices. In addition, the Cell Phone Jammer will allow you to suppress any activity of cellular phones in the room, thus giving the opportunity quietly and intently to conduct a meeting, a lecture, a spectacle, a examination, a presentation, to defend a thesis etc. Wherever you need to maintain secrecy or avoid disturbances from cellular phone calls, SJ-004G will be simply indispensable. This multi band jammer has 3 separate channels designed to operate in GSM-850/ CDMA-850/ GSM-900/ DCS-1800/ PCS-1900/ CDMA-1900/ WCDMA-1900/ WCDMA-2100/ Wi-Fi/ or Bluetooth frequency bands. The user can reprogram the jammer by PC-software to be used in various combinations of these standards and even can tune SJ-004G to specific frequencies. SJ-004G is destined for personal use. Our portable jammer has small pocket size, fits into the palm of your hand and is easy to slip into your coat pocket. Also it and doesn't look like a regular jammer. Internal antennas make this model inconspicuous. Thereby nobody knows that it's a cell phone jammer! 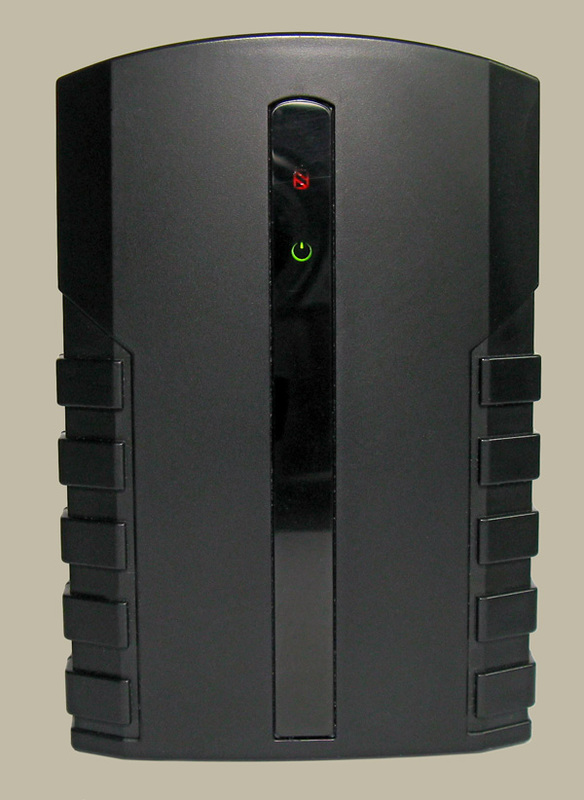 It doesn't look like a regular Cell Phone Jammer - nobody will know that you use a cell phone jammer! We bundle SJ-004G together with software which lets user to change the cell phone jammer settings with PC. to choose frequency settings from factory preinstalled presets for each channel (software commes with settings appropriate popular cellular networks and Wi-Fi). By using various combination of these presets this multi band jammer can be used like as GSM+3G jammer or GSM+WiFi jammer or 3G+Wi-Fi jammer or GSM/3G/Wi-Fi-only jammer or can be tuned to specific frequencies. easy friendly graphical user interface. It's very easy to switch the presets or change frequencies - only click on radiobuttons or move sliders. The jamming area is influenced by the location of the cell tower and the obstacles between cell tower & the cellular jammer. It means that in normal condition if the distance is close between the cell tower & the cellular Jammer, it will have very less jamming area. Likewise, if there are obstacles & walls between the cell tower & the cellular phone, the jammer will give more jamming area.